1. Are there any elements on history & physical that make you suspect viral meningitis in adult patients? Do you LP all patients you suspect have viral meningitis? Clinicians have long tried to identify elements of a patient’s history or physical examination that may help rule-out a diagnosis of meningitis–viral or otherwise–so as to spare patients an unnecessary lumbar puncture. This has not proven to be an easy task, and unfortunately seems to be an unrealistic goal. In one JAMA analysis of multiple studies, the complaints of headache and nausea/vomiting were found to have pooled sensitivities/specificities of only 50%/50% and 38%/60%, respectively. The same review found that the physical exam findings were slightly more helpful: fever had the highest sensitivity (85%), while neck stiffness had the next highest (70%). Perhaps the most helpful finding was that 95% of patients who had meningitis had at least two of the classic findings of fever, neck stiffness, and altered mental status/headache, and that 99-100% had at least one such finding. The absence of all of those complaints may effectively rule out meningitis (Attia, 1999). The classically described Kernig and Brudzinski signs are not at all sensitive for the diagnosis of meningitis (~5-30%) but have relatively high specificities (70-100%) (Waghdhare, 2010; Uchihara, 1991; Thomas, 2002). Thus the presence of these symptoms should substantially increase a clinician’s suspicion for the presence of meningitis. Lastly, the jolt accentuation test has had mixed findings. One prospective study found it to be 87% sensitive and 60% specific (Uchihara, 1991), but another more recent study has found almost the reverse, with a very low sensitivity (6%) and a high specificity (98%). (Waghdhare, 2010). Duration of symptoms may be tempting to use as a means of ruling out bacterial meningitis, given that this disease is often rapidly fatal. Hence a complaint of severe headache for over a week seems to rule out this serious entity. 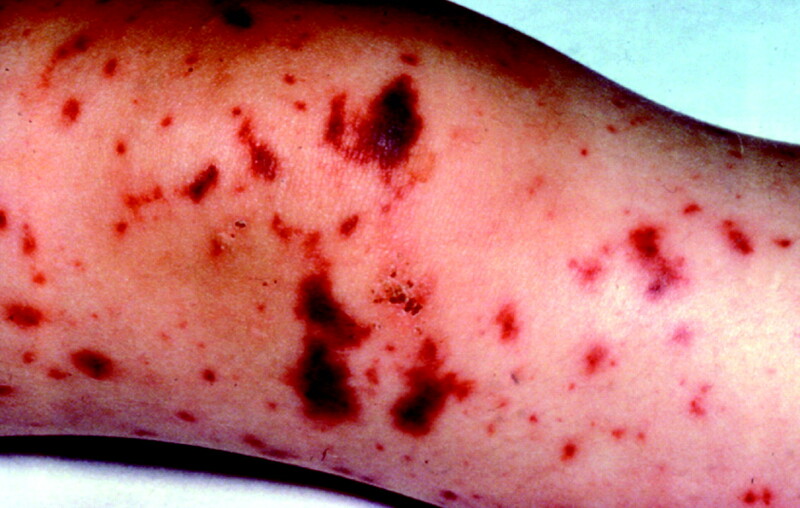 However, studies have not looked at this is as valid means of differentiating between bacterial and viral meningitis, and perhaps more importantly, some aseptic meningitides that require immediate treatment, such as cryptococcal meningitis or tuberculous meningitis, are typically subacute in onset. In summary then, clinical signs and symptoms have very low yield in ruling out a diagnosis of meningitis, leave alone differentiating between viral and bacterial meningitis. Therefore, in the absence of any contraindication, an LP should always be performed in patients in whom meningitis is suspected on clinical grounds (Viallon, 2011; Tunkel, 2004). 2. Does a “normal” CSF reassure you that the patient does not have bacterial meningitis? There are actually two important questions to ask here: 1) Does an entirely normal CSF, with negative gram stain, rule out bacterial meningitis (BM)? and 2) How useful are standard CSF parameters (cell count with differential, glucose, protein, and gram stain) in differentiating between bacterial and aseptic meningitis? Regarding the first question it is very rare, but not unheard of, to have completely normal CSF results in the setting of acute bacterial meningitis. There are several case reports, and a few studies and reviews that describe such instances (Ray, B, 2009; Coll, 1994; Polk, 1987; Onorato, 1980). Most of them involve infants and young children, not adults. The bacteria most commonly isolated were N. meningitides, H. influenzae, and S. pneumonia. In two pediatric studies, the incidence of BM with negative initial CSF was found to be 2.7% (Polk, 1987) and 10% (Coll, 1994). The risk of a false-negative CSF is increased if the lumbar puncture is performed within 24 hours of onset of symptoms. If meningitis is clinically suspected, a repeat LP should be performed within 24-48 hours (Ray, B, 2009). Most reassuring is that almost all of the patients described in the various case reports and studies were either neonates, had a concerning rash, and/or were delirious or otherwise acutely ill, i.e. patients who would have been (and were) admitted and empirically treated irrespective of CSF findings. In sum, in a non-toxic appearing, immunocompetent adult a completely normal CSF (including normal opening pressures) is highly reassuring in ruling-out bacterial meningitis, especially if the symptoms began more than 24 hours earlier. But, what if your patient’s CSF is not entirely normal, but instead seems to suggest a viral meningitis? That is, it has a mild lymphocyte-predominant pleocytosis, a normal glucose and protein, and a negative gram stain. Can you reassure your patient that he does not have bacterial meningitis? Unfortunately not. While high WBC count ( >1500/mm^3), a very low glucose ( < 35 mg/dL) , a markedly elevated protein (>2.2g/L or 220 mg/dL) and/or a positive gram stain are highly suggestive of bacterial meningitis, more moderate values do not rule it out. Several studies have shown that BM may present with CSF lymphocytosis in 15-30% of cases, especially when the WBC concentration is less than 1000/mm^3 (Lindquist, 1988; Spanos, 1989). Conversely, early viral meningitis may have PMNs predominate up to 40-50% of the time (Spanos, 1989; Archimbaud, 2009). Glucose, protein and CSF/blood glucose ratio have also been evaluated; while some studies have found some predictive value in the glucose ratio and in CSF protein, none of these parameters has been shown to allow definite differentiation between bacterial and viral meningitis (Lindquist, 1988; Spanos, 1989). In fact, in the original studies on CSF glucose, it was found that CSF glucose was decreased in roughly half the patients with BM. Gram stains, while providing a definitive diagnosis of BM when positive, have also been shown to be negative in 20-40% of BM cases (Ray, P, 2007; Spanos, 1989; Viallon, 2011). In a prospective trial of adult ED patients with acute meningitis but negative gram stains, the most common bacteria identified were S. pneumoniae, L. monocytogenes, and N. meningitides. Listeria species, in particular, have been found to be more likely to have negative gram stains (Hussein, 2000; Elmore, 1996). Other pathogens that typically have a concentration below the diagnostic sensitivity of standard microbiologic stains include M. tuberculosis and Cryptococcus neoformans (Elmore, 1996). Therefore, in patients at risk for these pathogens (whether due to age, an immunocompromised state, travel, or other exposure history), one should consider these entities in the setting of a negative gram stain. Bottom line: While CSF findings can be used to rule in bacterial meningitis in adult patients, they cannot be reliably used to differentiate between bacterial and viral meningitis. Interestingly, several clinical decision rules that incorporate CSF findings have been established to help with this differentiation in the pediatric population, and one in particular (Bacterial Meningitis Score) has been retrospectively validated in several studies (Nigrovic, 2007; Dubos, 2006). Unfortunately, no similar rule has been established and validated in the adult setting. 3. Do you use CSF lactate or other cytochemical markers to differentiate between aseptic and bacterial meningitis? Do you send anything beyond a standard meningitis panel for immunocompetent patients? When and what? Given the lackluster performance of standard CSF parameters in differentiating viral and bacterial meningitis, many have sought other blood and CSF parameters to test. Two of the most commonly studied parameters are serum procalcitonin (PCT) levels and CSF lactate. While procalcitonin has been studied amply in the pediatric population, where it has been found to help discriminate between bacterial and non-bacterial meningitis, it has not been as thoroughly investigated in adults. One recent prospective study in adults by Viallon, et al., did show it to be highly discriminative between bacterial and viral meningitis. It found that at a level of 0.28 ng/mL, PCT was 97% sensitive and 100% specific for bacterial meningitis. While other studies have also found PCT to be helpful, they used different cut-off levels and had less reassuring sensitivities and specificities (Schwarz, 2000; Jereb, 2001). CSF Lactate has been more extensively investigated in the adult population. Viallon, et al.’s study found it to have a sensitivity of 94% and specificity of 97% at a cut-off level of 3.8 mmol/L (34mg/dL). Two recent meta-analyses of 25 and 33 studies respectively have supported the usefulness of CSF lactate in this context as well. Sakushima, et al. (2011) found lactate to have a pooled sensitivity and specificity of 93% and 96%, with 3.9mmol/L (35 mg/dL) found to be the optimal cut-off. It appeared useful in ruling out BM and in distinguishing between bacterial and viral meningitis when used in combination with other CSF characteristics, but it was also noted that pretreatment with antibiotics reduced its clinical accuracy. Huy, et al. (2010) found CSF lactate to have an excellent level of overall accuracy in differentiating bacterial and non-bacterial meningitis, with an area under the curve of 0.9840. They considered it to be a good single indicator, and a better marker compared to other conventional markers as discussed above, especially when the assay was positive (above the cut-off point defined). Outside of the standard CSF panel, lactate and PCT, there are other studies one might consider sending to help elucidate the pathogen. As non-polio enteroviruses are the most common cause of acute viral meningitis (VM), sending an enterovirus (EV) PCR can be the quickest way to potentially rule in a viral etiology, thereby ruling out BM. Several studies have shown that if quick turnaround times are available for EV-PCR hospital length-of-stay, and duration of antibiotics is minimized (Archimbauld, 2009; Tattevin, 2002). HSV and viral cultures can also be sent, but will not be helpful in early differentiation, as they are less reliable than PCR, and also take up to ten days to be finalized. Latex agglutination tests can also help rule out bacterial causes of meningitis such as N. meningitides and H. Influenzae. Whether to send other studies depends on the suspicion of specific etiologies based on clinical findings and history of possible exposures, recent/current rashes, travel history, sexual history, etc. If the patient is altered at all and encephalitis is suspected, a broader encephalitis panel (including HSV, VZV, West Nile and others) may be sent for PCR analysis. Other studies can include acid-fast stain and tuberculosis PCR/Culture, VDRL, and antigen testing for cryptococcus. HIV and Lyme disease testing may also be appropriate in patients with suspected viral meningitis. In summary, CSF lactate may prove helpful in distinguishing bacterial from viral meningitis, especially when considered together with other CSF findings. Serum procalcitonin, while possibly helpful, is less well studied in adults. EV PCR, where available, should be sent in patients suspected of viral meningitis. Other studies will largely depend on risk factors and presentation as assessed by the clinician. 4. When do you admit a patient, post-LP, who appears to have viral meningitis? What anti-microbial agents do you administer these patients, if any? There are no studies analyzing the ideal disposition of patients with suspected viral meningitis. Traditional teaching states that patients at the extremes of age or with more severe disease, immunocompromise, suspicion of HSV or VZV meningitis, or potential nonviral causes should be hospitalized (Rosen’s, 6th ed.). Some clinicians handle patients with classic presentations of viral meningitis as outpatients with follow-up within 24 hours, while others admit them until cultures are finalized as negative. Given the demonstrated difficulty in ruling out bacterial meningitis, this approach is understandable. One study that evaluated the management of 168 patients who presented to the ED and were diagnosed with acute meningitis with a negative gram stain, found that 70% were admitted, 49% had cranial imaging (73% with normal findings) and 52% were treated with empiric antibiotics. Ultimately only 17% had established infectious causative agents that would have benefited from antibiotic treatment (Elmore, 1996). There were no deaths within one month of presentation. The authors conclude that better tests/clinical decision rules are needed to avoid unnecessary hospitalizations and associated costs. Anti-microbial agent use varies similarly: some practitioners choose to cover patients with both antibiotic and antiviral agents until either bacterial cultures are negative, or a viral PCR returns with a positive result. Others who have low suspicion for bacterial meningitis may not use any antimicrobial agents or may choose to use only acyclovir. There are no studies to direct the empiric treatment of these patients. The decision often comes down to the clinician’s assessment of the risk of either BM or HSV/VZV meningitis, with similar risk factors as those listed above for hospitalization taken into consideration. In a well-appearing, immunocompetent, young- to middle-aged adult with suspected viral meningitis, the decision of whether to admit the patient and whether to treat with empiric antibiotics and/or anti-viral agents is largely up to the clinician. Admission is perfectly reasonable. If the decision is made to send a patient home after a candid discussion with the patient about the potential risks is had, it is imperative that he/she be re-evaluated by a clinician within 24 hours. Close follow-up is critical. This entry was posted in Uncategorized and tagged infectious disease, meningitis. Bookmark the permalink.